You’re invited to join PCH Emerging Leaders for an EXCLUSIVE tour and boardroom lunch at the Translational Genomics Research Institute (TGen) headquarters on Thursday, June 7th! TGen’s incredible, state-of-the-art labs are dedicated to groundbreaking research with life changing results, where TGen works to unravel the genetic components of common and complex diseases, including cancer, neurological disorders, infectious disease, and rare childhood disorders. Space is limited so RSVP today! Please note that closed-toe shoes are required. Guests may use the free visitor parking lot on the east side of 5th street, just south of TGen. If the lot is full, pay parking is available in the Arizona Center parking garage on the west side of 5th street, north ofTGen. Parking is not validated. 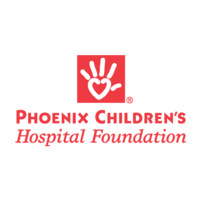 Emerging Leaders is a select group of professionals dedicated to advancing the mission of Phoenix Children’s Hospital through community engagement and philanthropy. For more information about Emerging Leaders, please CONTACT US. Established in 2002, TGen aims to employ genetic discoveries from the Human Genome Project to improve disease outcomes by developing smarter diagnostics and targeted therapeutics for a number of human disorders/diseases such as Alzheimer's disease, Autism, Parkinson's, diabetes, various forms of cancer, neurological disorders and other complex diseases. It played a vital role in the creation of the UA BioScience Campus in Downtown Phoenix, which includes Banner-UMC-Phoenix and Bioscience High Schools. For more information about TGen, please visit the TGen website.